A crockpot seafood chowder recipe that's simplicity itself. 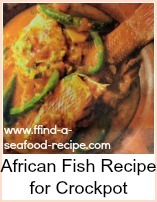 Use any mixture of white fish you like including some smoked fish - oily fish is not suitable for this recipe though. 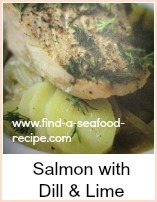 Try a mixture of wet and smoked fish for a different flavor. You could use mussels or shrimp - if they're cooked already you only need to add them just before serving. 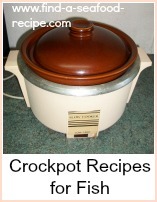 This is a great use of the crockpot - you can have a lovely hot meal waiting for you. Heat the slow cooker to Low while you're preparing the ingredients. Fry the bacon bits in a pan until the fat runs - then add the potato and fry for 5 mins or so until beginning to soften. Add the onions and fry a further 5 mins - add a little oil if necessary. Transfer these to the crockpot. 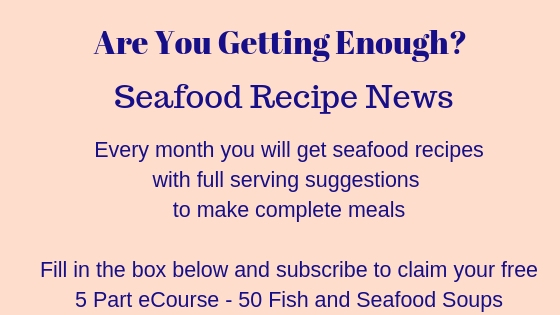 Cut the fish into chunks, add them to the pot with the rest of the ingredients - just keep back the 1 Tablespoon of cornstarch/cornflour and 2 Ts of milk. At this point, taste and adjust the seasoning. 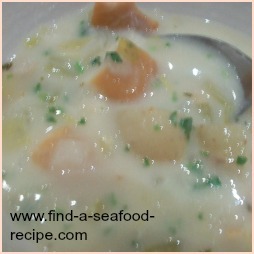 Mix the cornflour and milk together smoothly and pour into the chowder to thicken it. Stir very well and leave for another 30 minutes or so. If you like your chowder a little thicker, than double up the cornflour. 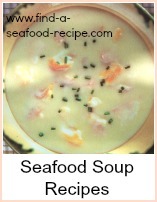 Serve with crusty bread for a lovely hearty seafood chowder. This makes a great meal for the family - using the slow cooker makes it a meal that you can prepare during the afternoon if you're in, leaving it to cook and ready to serve when everybody is home and wanting to eat later. 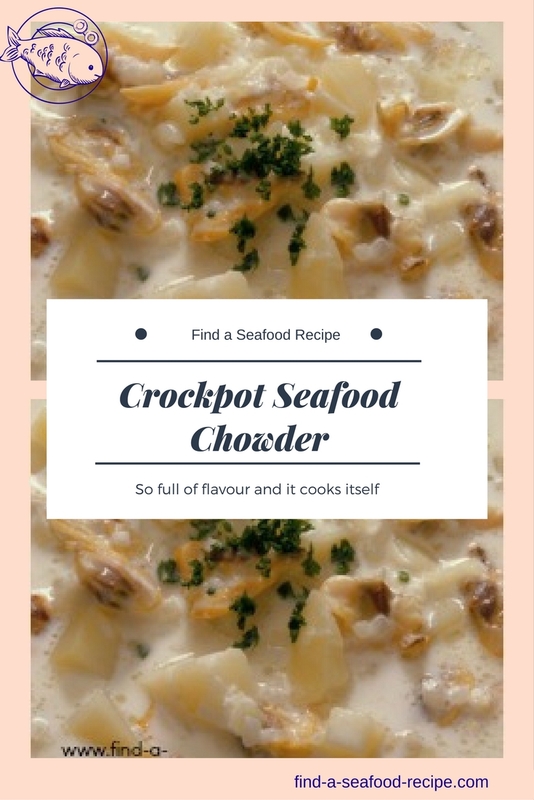 Seafood Chowder in the crockpot, what could be better? .